Twin Cities Top Elite Preferred James Hardie Contractor Best of Houzz! 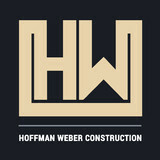 Hoffman Weber Construction is a family owned & operated business. Like most companies, our goal is to provide a great product and service. However, we back it with industry leading product warranties, a long-lasting labor guarantee, and a focus on understanding homeowner needs with the goal of surpassing them. We go into every job taking the high road and ensuring every aspect of your project is well managed and well executed. It's what you – the homeowner – expect every time. It is, in fact, our vision. Hoffman Weber Construction is an award winning general contractor offering home and property owners a full suite of design-build remodeling projects and storm damage restoration services. We specialize in roofing, siding, windows, gutters, and attic insulation. We use only industry leading materials that come with an unparalleled warranty, and we provide a level of professionalism that's a cut above our competitors. Whether your project is residential, commercial, or insurance related, we are the contractor of choice by the many local communities we serve. Contact us today for a free estimate and zero-pressure consultation. Services Provided: Asphalt Shingle Roofing, Metal Roofing, Roof Repair, Roof Replacement, Roof Installation, Rubber Roofing, Tar and Gravel Roofing, Siding Installation, Vinyl Siding, Fiber Cement Siding, Wood Siding, Insulation Installation, Spray Foam Insulation, Window Installation, Window Replacement, General Contracting Product Partners: James Hardie, LP Smartside, Mastic, Certainteed, GAF, IKO, EDCO, Owens Corning, Decra, Metro, Beechworth, Lindsay, Andersen, Marvin, Versetta Stone, Royal, and Boral. Tacheny Exteriors is a local family owned company with a belief in sincere customer service. We provide full building exterior services to residential, multi-family, commercial and industrial customers. With years in the business, our company has stood the test of time and has become the industry’s premier contractor. Quality craftsmanship and long lasting relationships with our customers has developed a strong foundation on which we built our unsurpassable reputation. Our family's contracting roots go deep and extend back over 100 years. 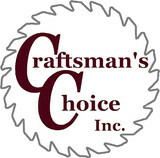 Craftsman's Choice Inc. is a full service exterior remodeling contractor whose main focus is the installation of James Hardie siding. We have the right balance of large contractor performance and capabilities combined with small contractor service and pricing. CCI will give you a detailed, itemized estimate complete with many local references. Over the last 19 years our company has grown, but our commitment to quality and service has not changed. We have grown from one crew to six full time crews, remodeling exteriors across the Twin Cities led by experienced residential construction managers Ryan Hicks and Jeff Witt. Offer Details: - $199 for Two Hours of Roof Repair - Package includes: a roof inspection, minor roof repairs, caulking exposed nail heads on flashing, resealing around any unsealed pipe collars, exhaust fans, vents, and chimney flashing up to four penetrations, and any other general maintenance - Checking for interior leaks that may not be noticeable from the exterior of your home - Providing photos of other areas in need of repair and a summary report on any potential plan of action (if needed) -- Storm Group Roofing is a Minneapolis based roofing, siding, and gutters contracting team dedicated to helping property owners find the exterior solutions they’re looking for. Servicing areas throughout the Twin Cities metro area and surroundings, Storm Group is the go-to for all of your roofing, siding, and gutter needs. In addition to roof repairs and roof replacement, Storm Group Roofing offers services including attic insulation, gutter installation, and siding installations. Aside from being a trusted and accredited A+ company by the BBB, we are fast, we are friendly, and we will present you with a variety of options so you can make the best possible decision for your home or property. Here at Storm Group, your satisfaction is our #1 priority. Twin Cities Siding Professionals is Minnesota’s leading siding and replacement window contractor. We protect your home, possessions and family from the rain, wind, snow, sun and ice that are part of our Minnesota weather. Our experienced and highly trained installation crews are ready to help you make your home more comfortable, convenient and energy efficient. Twin Cities Siding Professionals is the home improvement contractor you can trust to treat you with honesty, integrity and respect. Allstar Construction is a Minnesota state-licensed contractor specializing in exterior construction on new and existing homes. 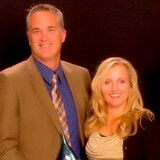 Over almost four decades, Allstar has grown into an industry leader for residential, commercial, and maintenance work. Homeowners have counted on Allstar Construction for exterior construction, storm damage restoration and repair, and remodeling for residential and multi-family homes throughout Minnesota. Decorators Service Co. is a Minnesota corporation established in 1969 as a residential and commercial painting and wallcovering company. We are located at 14100 21st Avenue North, Suite B, a commercial building in Plymouth. We employ an office staff of four and field personnel of between 15-35 craftsmen. Our field personnel are all employees of Decorators Service Co. on a regular payroll (not subcontractors). All our craftsmen are safety-certified members of Painters and Allied Trades District Council #82, and we are in compliance with all federal and state regulations. Certificates of insurance are available upon request. Since our founding in 1952, we’ve gained industry experience that has allowed us to find and offer the most energy-efficient and maintenance-free home improvement products to our customers at an exceptional value, as well as perfect our installation methods. Because of our commitment to excellence, we’ve earned the “Best Siding Company in Minneapolis” award from the U.S. Local Business Association for six years in a row and we’ve maintained an A+ rating with the Better Business Bureau. As a trusted leader in the painting industry since 1987, New Town Painters has been providing quality assurance and customer services to the metro area. In recent years, the community has expressed a need for a dependable all-encompassing service provider and we have responded by expanding our expertise to provide our clients with exterior remodeling services – enter New Town Exteriors. New Town Exteriors working alongside New Town Painters provides our clients with a one-stop shop for their home exterior needs. We are committed to delivering the best quality products from the area’s most skilled craftsman whose first priority is our client’s complete satisfaction. Our goal is to make the home renovation process as smooth and economical as possible. While working in the industry for 28 years, we have aligned ourselves with the top performers in each contracting field. We are committed to delivering the best of the trades to our clients and we can assure you that those we contract with will provide you just that. We do all exterior work on residential houses. If you are interested in working with us, or just want to say hello, send us a message or give us a call. Our vision is that contractor/builder should do it right from the first time! Spotless & Seamless Exteriors is a family owned and operated company, offers a full line of residential and commercial exterior remodeling services in entire Twin Cities Metro that will enhance the curb appeal and increase the value of your home. At Spotless & Seamless Exteriors, we employ a group of experts who are proud to provide our many valued customers in the Twin Cities metro area with quality workmanship and innovative exterior products that are among the best in the industry. 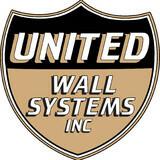 Our installers are all certified and trained annually by U.S. Seamless experts. When it comes to adding value and natural looking beauty to your home exterior, you can depend on the knowledge and experience of our professional team. 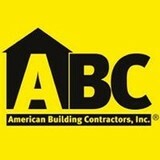 We are a local hands on construction company. Mike is the owner and an installer. We have no high pressure sales people. Mike answers your phone call and sets up a time to meet with you to discuss your project. Midwest Exteriors of MPLS.’s team of experts will meet all of your roofing, siding, insulation, ventilation, gutter and window replacement needs. Our team members represent more than 63 years of experience in the exterior remodeling business. Dan has more than 22 years of experience in the exterior remodeling field. In 1994, Dan opened Midwest Exteriors of MPLS. where he is President and General Manager today. The company has been a member of the Better Business Bureau since 1999 and has maintained an A+ rating. In addition to being a Licensed Contractor, Midwest Exteriors of MPLS. is certified by the Environmental Protection Agency as a Lead Safe Contractor. Ron has been with Midwest Exteriors of MPLS. since its beginning in 1994. He has a total of 31 years of experience in the remodeling industry, working with insulation, ventilation, and mold and moisture prevention. He also has over 22 years of experience in the seamless gutter field. Dave has been with the company for 14 years. Prior to starting with Midwest Exteriors of MPLS. he worked as a production supervisor. Customer service comes naturally to Dave and is proven by his long list of satisfied clients. His product and installation knowledge are second to none. Tom has worked with Midwest Exteriors of MPLS. since 1999 and has 13 years of experience working with seamless gutters and five years as a roofing sales and project supervisor. Updating your exterior can add functionality, style, and a sense of pride to your home. TopFlight Exteriors does it all - from small storm damage repair to a complete home exterior upgrade. We are experts in maximizing your home's curb appeal. Our services include roof repair and new roof installation (asphalt, metal, or tile), window replacements, deck installation (wood or maintenance free), siding updates (wood, vinyl, or metal), gutters (replacement, installation, or cleaning), and more. From day one, husband and wife duo Ciera and Antonio Muñoz knew they wanted their company, TopFlight Exteriors, to be recognized for consistently possessing three main qualities: honest service, quality construction, and an experienced team. By playing to their strengths - combining Antonio's experience as a highly praised roofing and siding subcontractor with Ciera's extensive business knowledge - they have created an exterior remodeling business that focuses on providing superior craftsmanship with a personal approach. TopFlight Exteriors looks forward to providing the Twin Cities area with quality home exterior remodeling services for many years to come. Trusted Roofing, Siding, Gutter, & Window Services Since 1997, Krumm Siding & Roofing Inc. your Wisconsin and Minnesota exterior remodeling contractors have proudly served local residents and businesses. Our professionals have the knowledge, skill, and experience necessary to assist you with all your roofing and siding needs. The one constant in all of our work is our goal to maximize customer satisfaction by providing the highest quality services possible. Call Krumm Siding & Roofing Inc. today if you need to hire a professionally licensed Wisconsin and Minnesota Roofing Contractor. Our courteous and polite staff is here to assist you in any way that we can. Our knowledgeable experts would be happy to answer any questions that you may have about our exceptional services. We can schedule your appointment today. What types of siding services do Saint Paul exterior contractors provide? Wood siding needs more maintenance than less-expensive, low-maintenance vinyl siding, but with proper care it will outlast vinyl siding, which can fade and crack over time. Your Saint Paul, MN contractor might also suggest fiber cement siding, which is fire resistant and termite-proof and can come with a warranty of up to 50 years. Find siding and exterior contractors in Saint Paul, MN on Houzz. Narrow your search in the Professionals section to Saint Paul, MN siding and exterior contractors. Find out how long a Saint Paul, MN exterior remodeling contractor has been in business, view portfolios, read reviews and get contact information.